In Morocco, population growth and the provision of electricity to nearly the entire country have led to a major increase in the consumption of energy. In addition, Morocco imports almost all of its energy, which requires large government subsidies. 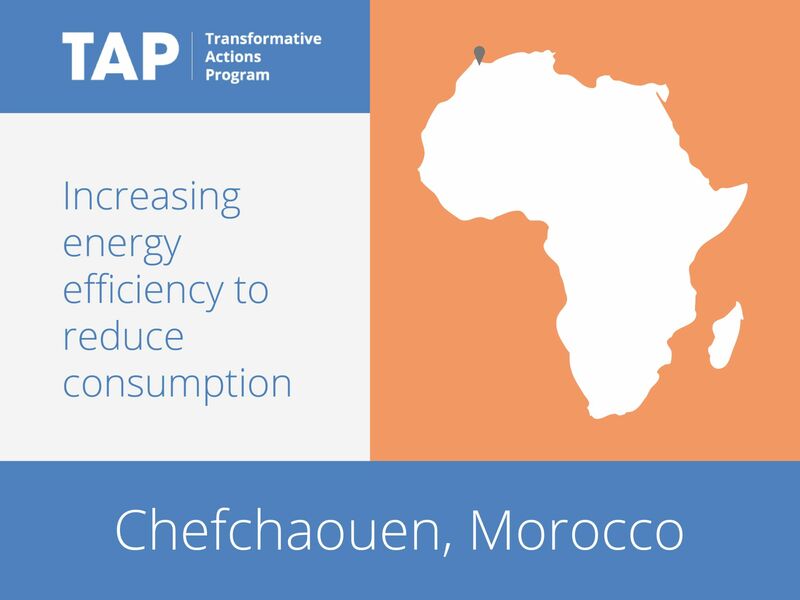 Chefchaouen is taking action through a project to reduce its energy consumption. Over three years the project will engage a large part of the city through education initiatives, which will target public officials and professionals through Energy Information Points. In addition, public lighting will be modernized, new electric vehicles will be acquired and city-owned buildings will made more energy efficient.